Posted September 25, 2016 12:19 am & filed under Cactus. Austrocylindropuntia subulata bloom at the Cactus Jungle. 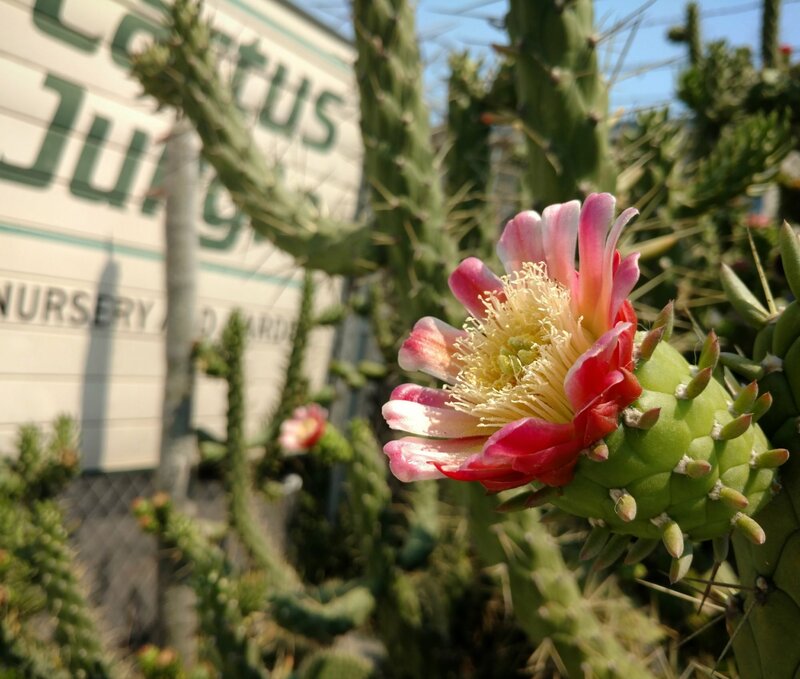 Everyone loves a cactus flower! Description: Andean tree cholla gets 12 feet tall in habitat but can reach 25 feet in Bay Area, tubular leaves, long spines. Creates a very effective living fence. The fruit often drop and root in place.